Based on a unique data set on young adults’ Internet uses, skills and participation, this talk will look at differences in daily digital media uses by type of user background. While all young adults in the sample regularly use the Internet, there are systematic variations in their familiarity with the Web and who does what online. In addition to exploring the relationship of socioeconomic factors and Internet usage, the talk also considers the important mediating role of skill in what people do online. 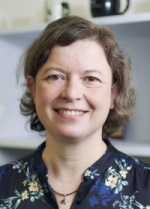 Eszter Hargittai is Assistant Professor of Communication Studies and Sociology, and Faculty Associate of the Institute for Policy Research at Northwestern University where she heads the Web Use Project. She received her Ph.D. in Sociology from Princeton University where she was a Wilson Scholar. She spent the 2006-07 academic year as a Fellow at the Center for Advanced Study in the Behavioral Sciences. Her research focuses on the social and policy implications of information technologies with a particular interest in how IT may contribute to or alleviate social inequalities. Her research projects have looked at differences in people’s Web-use skills, the evolution of search engines and the organization and presentation of online content, political uses of information technologies, and how IT are influencing the types of cultural products people consume. Her current work is funded by the John D. and Catherine T. MacArthur Foundation and the National Science Foundation. This event will be webcast live. Webcast viewers can join the discussion through IRC text chat or in the virtual world Second Life. If you miss the live chat, catch the podcast audio & video at MediaBerkman. RSVP is required, as space is limited. To RSVP, please send an email to rsvp at cyber.law.harvard.edu by October 29 at 12:00PM.